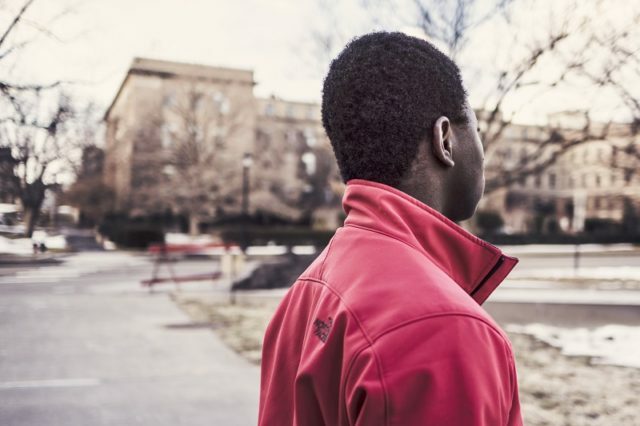 Researchers Charles Brown and James Sinclair found that one in five Black and Latino males they surveyed felt they had at some point been unfairly stopped by police. As such, our third post on their landmark study of barriers to bicycling discusses racial profiling. In our first post in the series, we looked at the overall study, and also saw that bike share was a largely unknown resource among participants. In the second post, we talked about perceptions of crime and how the fear of being robbed, assaulted, or stranded while using a bicycle deters participants from riding. Let’s examine why feelings of being profiled by police matter too. Brown and Sinclair posit that the perception among Black and Latino males of being a police target in the past likely increases fear of future profiling, and thereby reluctance to bike. In the focus groups, Black residents in particular discussed police harassment as a barrier to bicycling. For many, bicycling felt like an activity that simply makes one too vulnerable to be worth it. In fact, participants said that they routinely avoided certain towns and certain routes due to fear of police profiling. The findings mirror broader discussions on police profiling that Brown and Sinclair investigated during their literature review process. 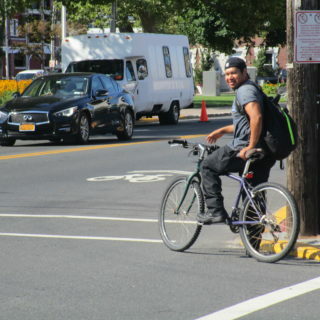 The found that white males are disproportionately visible bicyclists in comparison to black bicyclists, who often work later and may commute at night. 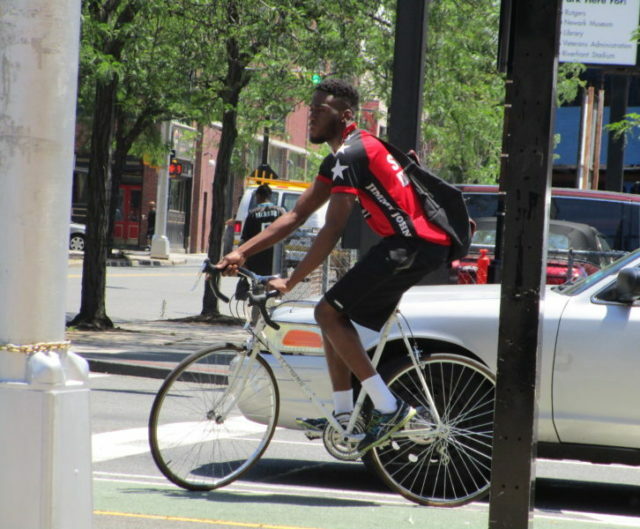 We’ve also reported on research that shows higher rates of official incident reports and citations being filed against Black cyclists in comparison to white cyclists. This was true in Minneapolis, Tampa, and New York City. Brown and Sinclair believe that the issue of profiling is exacerbated by lack of political power. Black and Latino residents in marginalized neighborhoods may feel unheard and fearful, even if they do bring up the subject of profiling. 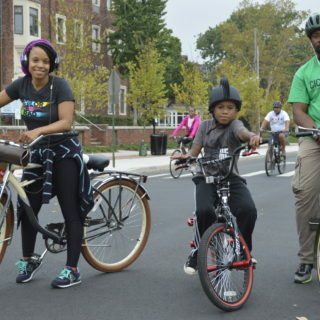 It seems that those who do transportation planning and advocacy work have to think about how they can uplift and empower historically marginalized voices within bicycle initiatives. So, what does all of this mean for biking policy and advocacy? 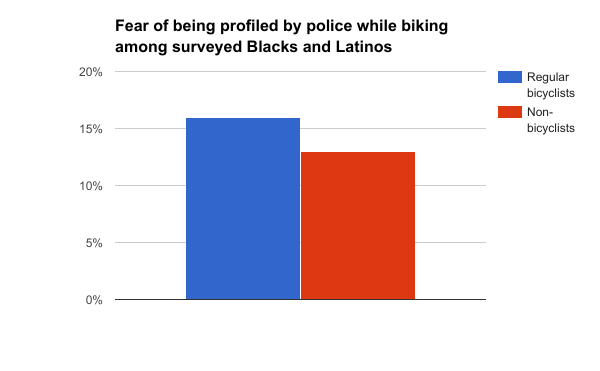 As with the issue of crime, it shows that the experiences of Black and Latino bicyclists are sometimes experiences of fear. That reality has to be respected and meaningfully addressed in bicycle advocacy efforts. Since Black and Latino cyclists sometimes avoid certain routes due to perceptions of police harassment, it is important for transportation professionals to be aware of these community dynamics when planning infrastructure changes. How can bicycle advocates incorporate understandings of police profiling into their daily work? One idea discussed in the focus groups was to have more community bicycling events, such as the Open Streets model. These kinds of activities might bring residents and the police together, and give residents a way to talk about their concerns in a non-hostile interaction. The results of the profiling research also led Brown and Sinclair to believe that there may be large gender differences in cycling experiences. For example, the male rate of perceived profiling was seven times higher than that of female participants. The researchers are currently in the process of conducting an additional study that looks more closely at Black and Latina women’s barriers and incentives to biking. The findings of Brown and Sinclair’s research couldn’t be more timely. 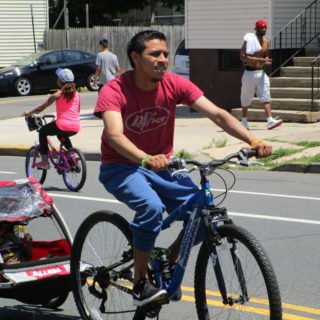 Given recent political developments that have correlated with rising fear of deportation in immigrant communities, transportation professionals have to be even more mindful of how bicycling decisions might be affected by attempts to avoid law enforcement officials. In our fourth and final post, we’ll cover the most consistent concerns found in the study — lack of access to bicycling infrastructure and related traffic safety.